Business Secretary Vince Cable has announced Copyright reforms designed to bring ‘greater freedom’ to the use of content - but songwriter groups are up in arms over the changes. New measures include provisions to allow copying of musical works for individuals’ own personal use, parody and for the purposes of quotation - effectively allowing consumers to copy works and replicate them onto different platforms without requiring permission from creators. These platforms can include MP3s and, significantly, personal Cloud lockers. Private copying will require no compensation to be given to creators, either from consumers themselves or device manufacturers such as Apple. The Government said the changes ‘could contribute at least £500m to the UK economy over 10 years, and perhaps much more from reduced costs, increased competition and by making copyright works more valuable’. Previously, Government estimates have said the changes could bring in billions to the UK economy. 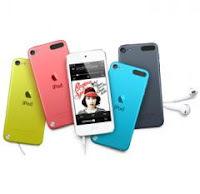 But songwriter groups have hit back, calling for an ‘iPod tax’ similar to that seen in European countries - a levy paid by music-playing device manufacturers. General Secretary of the Musicians Union John Smith said in response: “While we understand the need for this exception to bring the law into line with consumer behaviour, we feel strongly that the lack of fair compensation will significantly disadvantage creators and performers in relation to the vast majority of their EU counterparts. The reforms follow the process of the Hargreaves Review, a formal consultation and numerous discussions with stakeholders and industry representatives. Business Secretary, Vince Cable said:“Making the intellectual property framework fit for the 21st century is not only common sense but good business sense. Bringing the law into line with ordinary people’s reasonable expectations will boost respect for copyright, on which our creative industries rely. In his review of intellectual property and growth, Hargreaves made the case for the UK making greater use of these exceptions. Sarah Rodgers, BASCA Chairman, said today: "Composers and songwriters depend on the protection of copyright to enable them to earn a living from their musical works. Copyright is the legislative framework that for us music writers is the same as being employed - in other words, it's the way that we get paid for the work that we do. An exception to copyright, without compensation, for us, is employment without payment. The creative economy is not supported by denying income to its workers. “This decision makes songwriters and composers vulnerable to erosion of the value of our creative works and what we are able to earn from their use. It is wrong from both a commercial and a moral standpoint and puts us out of step with our European counterparts." Education - to simplify copyright licensing for the education sector and make it easier for teachers to use copyright materials on interactive whiteboards and similar technology in classrooms and provide access to copyright works over secure networks to support the growing demand for distance learning handouts for students.